After university life, what’s next? That’s a typical question students will ponder upon. Behind such a question lies a more important inquiry: how should one choose a career that reflects one’s passion, hones one’s potentials, and serves one’s purpose in life? It’s YOUR Opportunity. It’s YOUR Career. It’s for YOU. 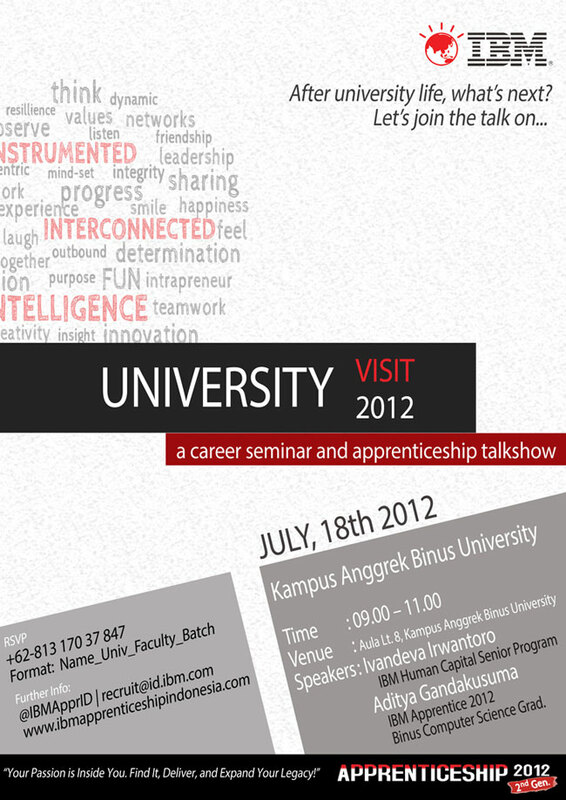 RSVP +62-813 170 37 847 Using the format Name_Univ_Major_Venue.